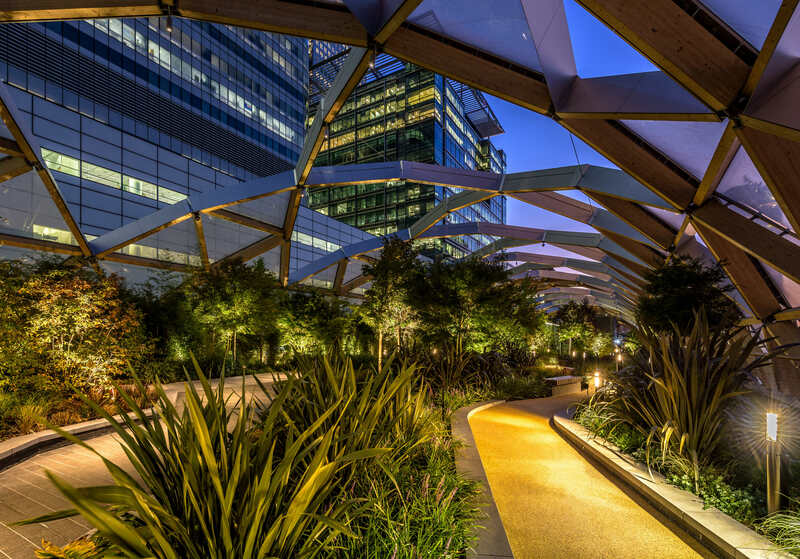 We speak to Canary Wharf Group's Head of Sustainability, Martin Gettings, about the ways that Canary Wharf is using its sustainability efforts to pave the way for the cities of the future. 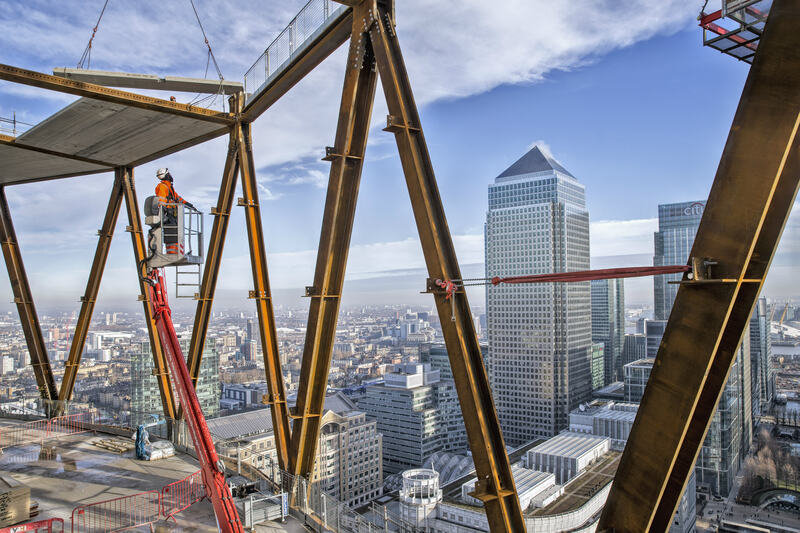 Having already achieved one of the greatest ever feats of civic engineering – turning London’s once derelict Docklands into 97 acres of some of the city’s most prized real estate – Canary Wharf Group (CWG) is continuing to change London’s iconic skyline. As a fully integrated property development, investment and management group, CWG is responsible for the entirety of Canary Wharf estate and its developments, which also makes it one of the city’s largest landlords. 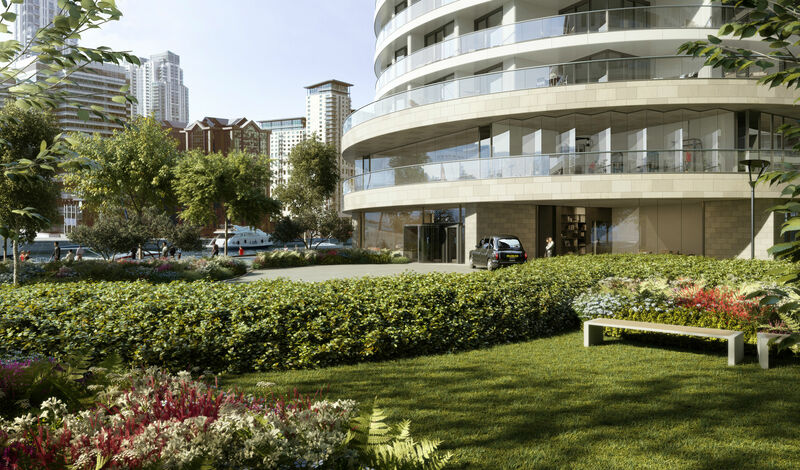 The Group's developments are also showing no signs of slowing down – in fact, GWG is currently working on Canary Wharf’s newest district, Wood Wharf. This new neighbourhood will feature up to 3,600 new homes, 380,000 square foot of retail space, and eight acres of public spaces, plazas and parks; the centrepiece of the district is the highly anticipated One Park Drive, designed by acclaimed Swiss practice, Herzog & de Meuron. Why is sustainability and biodiversity so important to Canary Wharf Group? 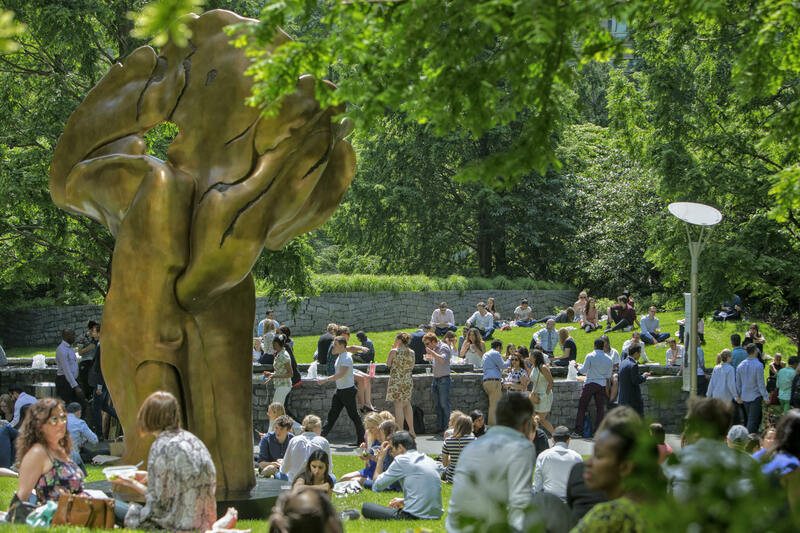 Sustainability and biodiversity help make Canary Wharf an even better place to visit, work and live on so many levels, by involving and inspiring people, as well as making the estate a healthier place for people and wildlife. Building on our best practice, we use sustainability to really raise the bar and push what is possible for us to achieve. We go above and beyond legislation; for example, we’ve created wildlife habitat zones in water and on land; encouraged public engagement through our wildlife photography competition; and created an ecologically endorsed long term approach with our Biodiversity Action Plan. We see sustainability as a brilliant way to define our brand and enhance the perception of the Canary Wharf estate. How do you ensure your sustainability targets are met? At Canary Wharf Group we set credible, challenging targets for ourselves, driving for positive change rather than maintaining the status quo. We are constantly reviewing our progress to ensure that our sustainability targets are met and are in line with our long-term goals. At the core of our targets are the UN’s Sustainable Development Goals (SDGs) – by aligning our strategy with these targets, we can make sure that we’re minimising our environmental impact and maximising our value to the local and global community. What are the challenges the Group faces, dealing with sustainability (e.g. how do you ensure tenants’ waste doesn’t go to landfill)? We can do that at Canary Wharf because we manage this mini-city and how it operates. We’re creating a blueprint for urban sustainability in thriving business districts. In the areas that we manage, we have achieved zero waste to landfill since 2009 - but working with our tenants to help them generate less waste in the first place is of more importance! We’ve established working groups to do just that, and we're making progress. The bigger challenge will be how we make Canary Wharf a true circular city. Tell us more about your goal to become plastic free? Our goal is to become a responsible plastic zone – free of single-use plastics. 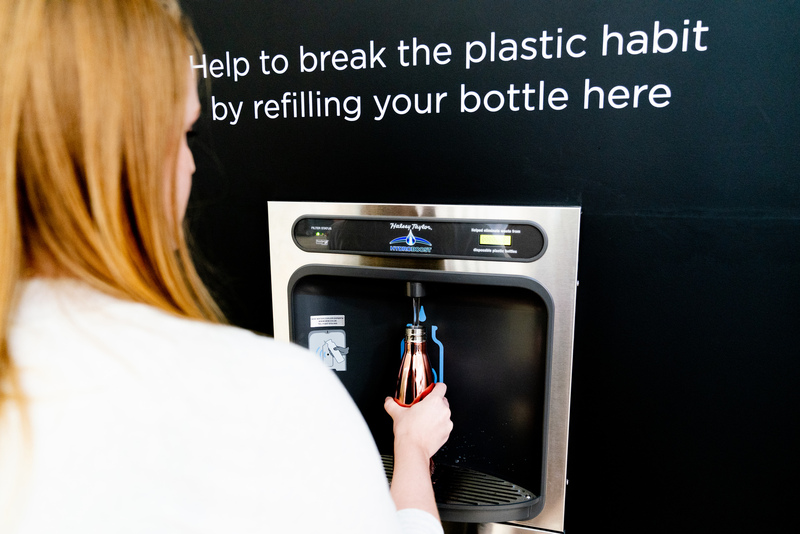 On World Environment day we launched #BreakingThePlasticHabit, which included creating the UK’s first publicly available deposit return scheme and water refill stations in our shopping malls. We’re aiming to cut 100,000 plastic bottles [out of supply], and we’re set to become the world’s first ‘Plastic Free Commercial Centre’, a Surfers Against Sewage accreditation. With the launch of our #breakingtheplastichabit campaign and the Surfers Against Sewage’s Plastic Free Community status announcement, we want to involve people who work, live and visit Canary Wharf, and provide them with solutions – not rules. With options like our water refill stations and deposit return scheme for cans and plastic bottles, we want sustainability to be something that people are excited about - not just a list of ‘what not to do’s’. We started this journey last year when we created a clean coffee zone, recycling coffee cups and coffee grounds, and we’re looking forward to continuing this initiative with plastics. There’s no end to the things we’re excited about! We are signatories of the RE100 [a collaborative, global initiative uniting more than 100 influential businesses committed to 100% renewable electricity], and have been purchasing renewable electricity since 2012. We have the UK’s first solar powered bus shelter on the estate, which started as a research and development project to test the integration into cladding and glazing systems. We’ve delivered our first BREEAM (2014) Design Rating, acquiring an 87% “Outstanding” rating for our commercial building One & Five Bank Street – making it one of the most sustainable buildings in London, and one of the largest in the world, to secure this rating. We delivered our highest BREEAM (2011) PC Stage Rating of 80.22% for Churchill Place. We’ve also initiated BREEAM Communities assessments on two Canary Wharf Group projects, and established a Biodiversity Strategy and Action Plan, including our public Wildlife Photography Competition. How, if at all, has the news of Crossrail’s postponement affected your sustainability scheme? It hasn’t been affected. We opened our brilliant Crossrail roof garden and free community spaces three years ahead of the planned Elizabeth line opening; the space has been fully embraced by the community. Theatre, yoga and art classes are just some of the things we see in this space on a regular basis. What are the next steps for Canary Wharf Group’s sustainability scheme? Short term, we need to better define our sustainability roadmap to 2030 and beyond, including better integration on the UN’s SDGs. We are also looking at the ISO 20400 Sustainable Procurement Standard and how we can integrate the SDGs into our supply chain. Transparency is key to our sustainability strategy - we want to make sure our entire supply chain are involved and understand what we’re trying to achieve. What would you like the people outside of Canary Wharf to know about the Group’s sustainability and biodiversity? We want people to know that we are open to collaboration; only through working together will we tackle the big global sustainability and biodiversity challenges. Canary Wharf Group is proud of what we’ve done to date, but we’re not complacent - we will strive to do more.